Massive Atmospheric Aerosol Deployment Over Oregon. …Listen to this family discuss what they see. Do you really think they sound like whacko conspiracy theorists? These are normal citizens using a video camera to report a vast environmental crime. 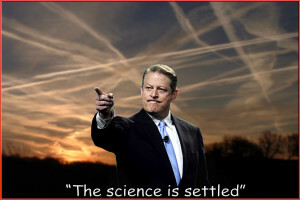 Evidence now confirms this global, covert aerosol operation is a sophisticated and powerful climate modification technology first conceived in 1958 when the military announced they would be able to control the climate using electromagnetic beams to heat and augment the atmosphere and ionosphere. This announcement was made at a time when scientists were proposing ways to warm the arctic for new shipping lanes and access to drill for oil in the ice-locked northern latitudes. This entry was posted on January 12, 2013 by Amir Alwani. It was filed under chemtrails, geo-engineering, HAARP, health, natural / "natural" disasters, news, science, studies, tyranny, UN, US, videos, war .